Medical guidance by and large backs lung cancer screening for high-risk current and former smokers, but the logistics of reaching and following those individuals, and even determining who precisely might most benefit, has proven to be a harder nut to crack. A flurry of studies and other guidance have been published in the last several years attempting to determine if the current criteria based on age and smoking pack-years should be broadened to incorporate additional risk factors, such as other medical conditions. In addition, studies have looked at the logistics of monitoring small nodules and other physician challenges, including how well the discussion about screening pros and cons is being handled in real-world practice. Since the results of the National Lung Screening Trial (NSLT) were published in 2011 and the U.S. Preventive Services Task Force gave annual low-dose CT screening a B rating for patients with certain risk factors two years later, there hasn't been a lot of patient buy-in for reasons that are still being unraveled. One recent study, published in September 2017 in JAMA Oncology, found that in 2015, just 3.9% of eligible patients reported getting a scan the prior year. Various factors might be influential, according to lung cancer screening researchers, including the time and complexities involved with explaining the test, the logistics of follow-up, and even some evidence showing a sense of fatalism among patients who smoke. But given that lung cancer diagnoses continue to stack up, with nearly 223,000 new cases annually and a five-year survival rate of 18%, doctors should continue to raise and explain the screening opportunity, said ACP Member Vaibhav Kumar, MD, a postdoctoral fellow working in comparative effectiveness research at Tufts Medical Center in Boston. The U.S. Preventive Services Task Force recommends annual screening from ages 55 to 80 years for patients who currently smoke or used to smoke and have a history of at least 30 pack-years, including those who have quit within the last 15 years. Medicare sets a slightly lower age limit of 77 years along with some reimbursement requirements, among them a shared decision-making conversation. In its latest lung cancer screening guidelines, published online in January 2018, the American College of Chest Physicians also recommends that screening be offered to eligible patients from ages 55 to 77 years who currently smoke and used to smoke. The participants in the NLST, who ranged in age from 55 to 74 years, got three annual low-dose CT screens from August 2002 through August 2004. Their adherence was high; more than 90% completed all three. By Dec. 31, 2009, the rate of lung cancer deaths was 20% lower in those who got the CT scans versus those who got chest X-rays, and overall mortality was reduced by 6.7%, according to the findings, published in 2011 in the New England Journal of Medicine. Among medical groups looking at screening (ACP has no current clinical guidelines on this topic), the American Academy of Family Physicians has remained an outlier. In 2013, the group adopted a position against screening, describing “significant concern” about implementing such a far-reaching and costly practice based on a single study. The NLST's findings in a rigorous research setting have not yet been replicated in a real-world setting, the group noted. That's still true, said Renda Soylemez Wiener, MD, a pulmonologist and lung screening researcher at Boston University School of Medicine. Nor did several European trials show any benefit, said ACP Member Linda Kinsinger, MD, MPH, who retired in 2015 as chief consultant for preventive medicine at the Veterans Health Administration (VHA) National Center for Health Promotion and Disease Prevention. Another European study hasn't yet released its results, Dr. Kinsinger said. When the NLST findings were published, Dr. Kinsinger viewed them as potentially the worst possible outcome. “Which was to show a small benefit, a lot of harm and, as we now know, a complicated screening process,” she said. Dr. Kinsinger was the lead author of a VHA study involving 2,106 patients at eight hospitals that illustrated how complex implementation can be. The analysis, based on two years of screening, found that nearly 58% of the slightly more than 4,200 patients who met eligibility criteria agreed to a CT scan, according to the findings, published in March 2017 in JAMA Internal Medicine. The process generated extensive need for follow-up. A little over half of those screened, 56%, had one or more nodules that needed to be tracked. Nearly 41% of the patients had other incidental findings, such as emphysema or coronary artery calcification. 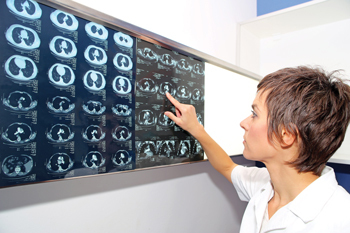 Thirty-one of the total 2,106 patients screened, 1.5%, were diagnosed with lung cancer. Stated another way, according to an accompanying editorial, for every 1,000 individuals who get a CT scan, 10 will be diagnosed with early-stage lung cancer while potentially curable, five will be diagnosed with advanced-stage cancer, and 20 will get an invasive procedure, such as a thoracotomy. And slightly more than half, 550 men and women, “will experience unnecessary alarm and repeated CT scanning (with its associated irradiation),” the editorial's authors wrote. Thus, researchers are trying to sort out if there's a better way beyond simply age and smoking history to identify which individuals could most benefit from early detection, while still minimizing risk. Dr. Kumar was involved with one recent analysis, published online by Annals of Internal Medicine on Jan. 2, which found that applying risk-targeted screening saved more lives in the first seven years compared with using NLST screening criteria. But those higher-risk patients who are more prone to die of lung cancer also are more likely to be older and have other smoking-related health conditions. Thus, over a lifetime time horizon, the gradient of benefit, in terms of quality-adjusted life-years, and the cost-effectiveness is similar across all risk groups enrolled in the NLST, the researchers wrote. The American College of Chest Physicians, in its most recent guidelines, did not recommend screening in patients with a limited life expectancy or those who might be unable to tolerate treatment for early-stage cancer. In her own practice, Dr. Tanner said that she eyeballs a patient's physical resilience. A key takeaway of the VHA study, the strain involved with implementing lung screening, sounds a cautionary note for primary care doctors working outside a large health system, Dr. Kinsinger said. The researchers did note that the VHA study participants were older than those involved with the NLST and were more likely to currently smoke. Still, the logistics involved with annual scans and follow-up of any nodules or other worrisome findings could prove daunting not only for primary care doctors but also for radiologists and pulmonologists, they wrote. Even calculating a patient's smoking pack-years to enter into the electronic medical record is easier said than done, as patients can vary in how much they smoke, may have temporarily quit at points, and don't necessarily recall all of the details, Dr. Kinsinger said. “It sounds so simple, but it actually is really complicated,” she said, regarding calculating a pack-years figure. Also, making sure to keep track of patients who require follow-up takes a lot of coordination among physician specialists so someone doesn't fall through the cracks, she said. Dr. Kinsinger's advice to primary care doctors is, “If you are going to offer it [screening], you really need to organize a program as much as possible,” including someone on staff dedicated to talking patients through the pros and cons and tracking them through the multiyear process, she said. When CMS officials issued a decision to cover low-dose CT screening in 2015, they required a shared decision-making conversation. To be reimbursed, the visit should include the use of at least one decision aid and other counseling, including about smoking cessation, provided by a physician or a select number of other clinicians, including a physician assistant or a nurse practitioner. 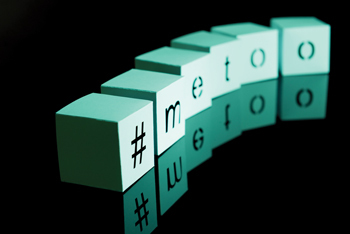 But Dr. Wiener, based on a qualitative study she was involved with, believes that the reality of these conversations is mixed, with some falling short. Her study, which looked at conversations that 36 clinicians initiated with 49 patients, found that the former thought they had sufficiently explained the screening tradeoffs. But some patients felt like they hadn't been filled in enough on the downsides and were startled to learn that a screen-detected nodule would have to be followed, according to the findings, published online Feb. 21 by the Journal of General Internal Medicine. “In some cases patients weren't even aware that the CAT scan that they were going for was a lung cancer screening study, and that's obviously a big problem,” Dr. Wiener said. Several good decision-making aids are available, according to lung screening experts, that clinicians can pull up on a screen in their office, such as Should I Screen or a tool from Memorial-Sloan Kettering that incorporates a few other risks, such as asbestos exposure. Other good aids include those developed by the American Thoracic Society and the Agency for Healthcare Research and Quality, according to Dr. Wiener. When clinicians talk to patients, they should stress that “even if your scan comes back negative, that does not mean that this is a free pass to continue smoking,” Dr. Tanner said. Lung screening experts frequently point to a study, published in 2015 in JAMA Internal Medicine, of interviews with 37 patients who currently smoked and were screened through the VHA. Roughly half of those who had CT screening harbored misconceptions that it provided some type of protective effect against dying of lung cancer, which in turn lowered their motivation to quit smoking. To boost that screening rate significantly above 5%, clinicians will have to learn how to better connect with a not always accessible population, Dr. Tanner said. She pointed to a study published in 2007 in Thorax, which surveyed 2,001 people and found that those who currently smoked were more likely to be male, to be less educated, and to report a lower health status and less access to a regular health care clinician than their never-smoking counterparts. They also were less likely to believe that screening boosted their survival odds. While patients who have smoked but kicked the habit some years before might fall into the “worried well” group that seeks out screening, that sentiment is by no means universal, Dr. Tanner said. American Academy of Family Physicians. Clinical Preventive Service Recommendation. Lung Cancer. 2013. Accessed online March 16, 2018. CMS. Decision Memo for Screening for Lung Cancer with Low Dose Computed Tomography (LDCT) (CAG-00439N). Accessed on March 16, 2018. Kumar V, Cohen JT, van Klaveren D, Soeteman DI, Wong JB, Neumann PJ, et al. Risk-targeted lung cancer screening: A cost-effectiveness analysis. Ann Intern Med. 2018;168:161-169. National Cancer Institute. Cancer Stat Facts: Lung and Bronchus Cancer. Accessed on March 6, 2018. U.S. Preventive Services Task Force. Lung Cancer: Screening. Recommendation Summary, December 2013. Accessed on March 16, 2018.